High above the planet Harmony, the Oversoul watches. Its task, programmed so many millennia ago, is to guard the human settlement on this planet-to protect this fragile remnant of Earth from all threats. To protect them, most of all, from themselves. But now the great artificial intelligence is failing. The Oversoul has lost access to some of its memory banks, and some of its power systems are failing. On the planet, the Oversoul is losing control of the population. The only repair lies light-years distant on a lost and ruined Earth; the only way to get there is to teach forbidden technology to a few select people. But war broke out on Harmony, and in the end the Oversoul's chosen servants-a man named Wetchik and his son Nafai-are able to escape with only their lives. The City of Basilica is now in the hands of General Moozh, and Wetchik and all his family have been cast out. They cannot return on pain of death. This third volume of the Homecoming Saga brings the Oversoul's chosen people out of the city and across the desert wastes, to where Harmony's spaceport lies silent, abandoned, waiting for the command to make the great interstellar ships ready for flight again. But of these sixteen people, only a handful have chosen their exile; the others, Rasa's spiteful daughters and their husbands, Wetchik's oldest son, Elemak, have been forced along against their will. Their anger and hatreds will make the difficult journey harder. 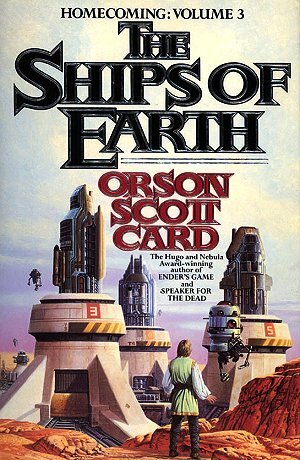 Orson Scott Card is the nationaly bestselling, Hugo and Nebula award winning author of Ender's Game, Speaker For the Dead, Xenocide, The Memory of Earth and The Call of Earth.